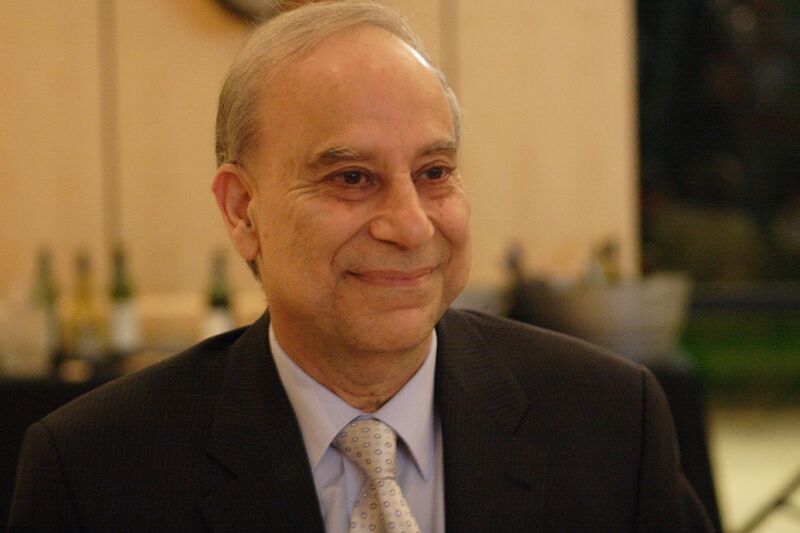 American University in Washington DC has honoured Pakistani-American scholar Dr Akbar Ahmed with the 2016-17 SIS Scholar/Teacher of the Year Award in recognition of his research. Ambassador Ahmed, who is the Ibn Khaldun Chair of Islamic Studies at American University, said the award marks a distinction for all Pakistani-Americans and American Muslims. “I am delighted and humbled and believe the award highlights the contributions that people from our country and the Muslim world make to higher learning in the United States,” Dr Ahmed said, who received the award as part of the annual American university School of International Service (SIS) end-of-year celebration. Ahmed, who has authored several books on contemporary challenges facing the Muslims and the West, has been a leading faculty member of SIS, one of the top ten schools of international affairs in the United States. Dr Ahmed received this prestigious award before a full house and a standing ovation of SIS staff and faculty. Applauding Dr Ahmed’s services Dean James Goldgeier said to Ahmed’s family, “He is a legend,” as he complimented Ahmed, the award ceremony was a momentous opportunity to reflect upon Ahmed’s achievements as a member of the SIS faculty. Goldgeier praised Ahmed’s research and work in bringing his insightful experience to the students. Ahmed’s quartet of studies examining relations between the West and the Muslim world, will again highlight the issues in his forthcoming book ‘Journey into Europe: Islam, Immigration, and Identity’. What a great gentleman this career diplomat has been for Pakistan and how shabbily he has been treated by Pakistan. While being the High commissoner in London he was one of the first to promote inter faith dialogue in UK. Perhaps he saw the impending storm approaching. This was not well received by his superiors who soon banished him into obscurity. His pension was frozen! He settled Down in USA but never stopped promoting interfaith dialogue. He continued to Write books but always wrote well about Pakistan. When 9/11 took olace a jewish Family offered and took him and his Family to their residence. He wa invited to the funeral of an ex president of USA and given a prominent Place. His writing about Islam has given me more information about the peaceful nature of the religion than the present day Mullahs in Pakistan. I have never met the gentleman but his writings have made me wiser. He deseves all the accolades but regretably has he received any from Pakistan?